The Museum hosts a holiday party for its most generous supporters, and requires a festive card design unassociated with any one religious holiday. I designed an invitation showing the building in snowfall with a gold foil for the windows exuding warmth and liveliness inside. 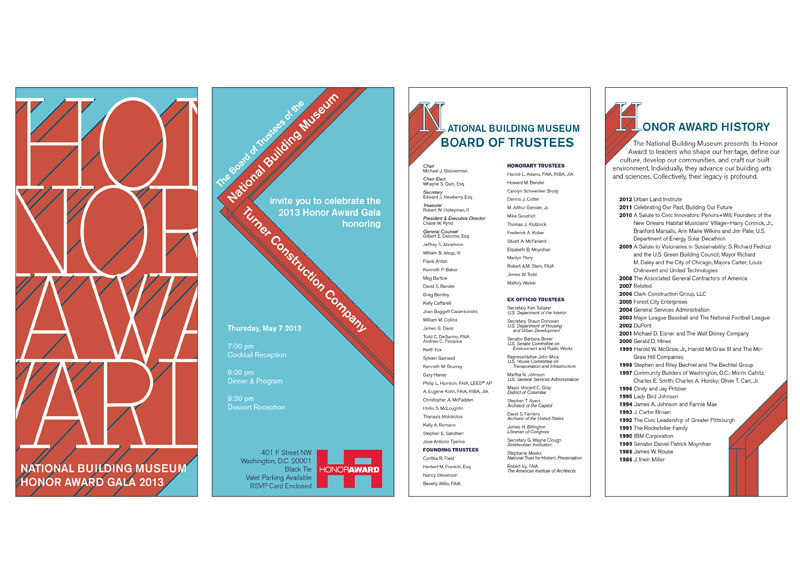 The 2013 Honor Award recognized Turner Construction Company, so I proposed an invitation based on I-beams and steel frame construction. Ultimately this design was not selected for the final invitation, but I enjoyed the opportunity to get creative with lettering. In keeping with the construction concept and because Turner is well known for building skyscrapers, the proposed invitation would fold vertically, like a skyscraper growing upward. Exhibition opening invitation, incorporating elements from the exhibition identity. 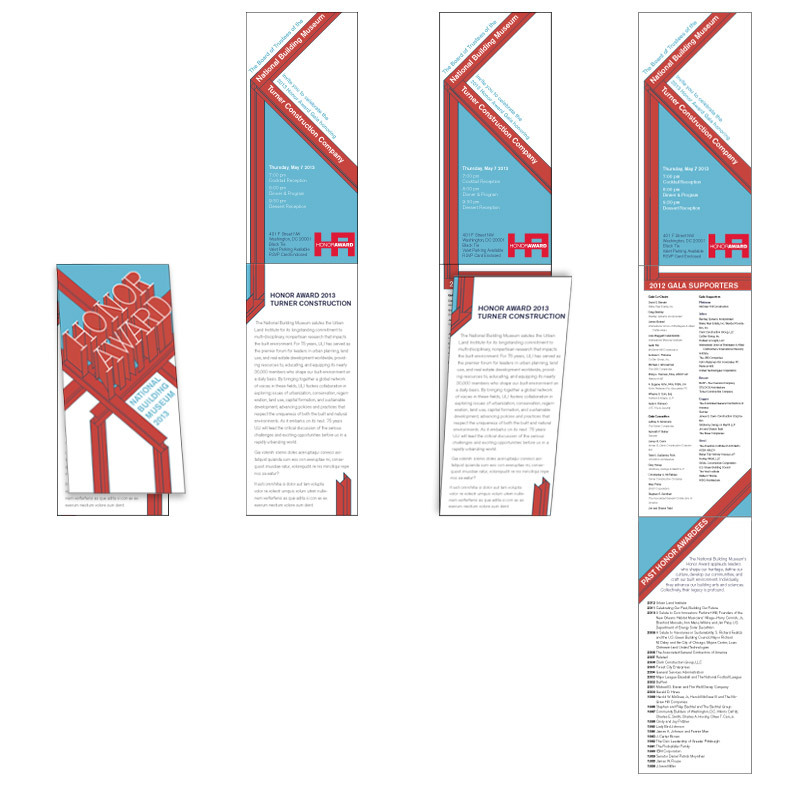 Given the number of events the Museum hosts, large and small, a template invitation is necessary for the basic programs which don't require custom design. Upon the release of the new logo, I designed these templates, into which we can drop the necessary information and quickly get them in the mail to invitees.